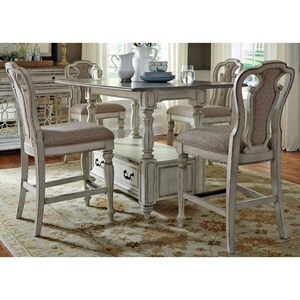 This five piece gathering table set will be the perfect set up for smaller parties and elegant dinners alike. 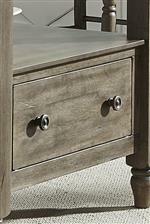 Each piece is solid wood, crafted from robust rubberwood solids in a lightly distressed weather gray finish for a casual, easily adapted look. What makes the table great is its built in storage; incorporated into the base is a single drawer, along with an open shelf, so you can save precious dining room space elsewhere. 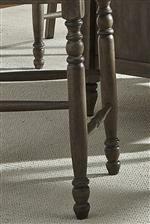 Each barstool features a comfortable burlap linen upholstered seat and for detail, turned front legs. 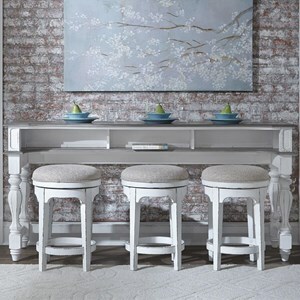 The Candlewood 5 Piece Gathering Storage Table and Barstool Set by Liberty Furniture at Zak's Home in the Tri-Cities, Johnson City, Tennessee area. Product availability may vary. Contact us for the most current availability on this product. 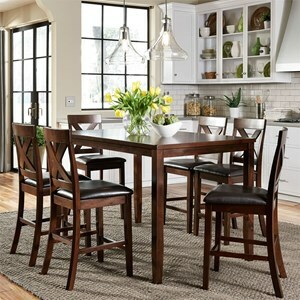 This collection of gathering height dining pieces will make your home into an entertaining haven. With features such as built in table storage, upholstered bar stools and turned legs, this collection boasts practicality, comfort and style. Perfect for both a casual get together and a more elegant affair, you'll love having the pieces of this collection. 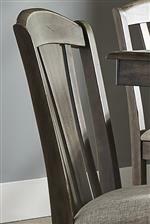 The Candlewood collection is a great option if you are looking for Casual furniture in the Tri-Cities, Johnson City, Tennessee area. Browse other items in the Candlewood collection from Zak's Home in the Tri-Cities, Johnson City, Tennessee area.